PalmSHIELD is excited to announce that our solid architectural screening is now available in both a vinyl tongue & groove horizontal slat and a composite horizontal slat. These two new options make a great counterpart our popular aluminum horizontal slat system. 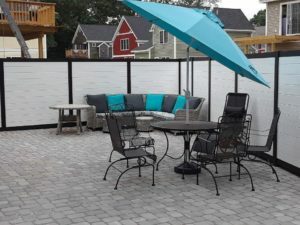 PalmSHIELD’s solid architectural screening is a perfect solution for designers looking to complement their facilities exterior features when screening mechanical equipment, dumpsters, transformers, pool equipment, HVAC units, etc. PalmSHIELD’s solid architectural screening panels are constructed from our popular picture frame design that uses structural aluminum extrusions to form a solid frame around the infill materials. No matter what infill material you select, you can be assured our panels will meet the latest IBC or UBC wind load requirements. Our screen panels come fully assembled and ready to install. Our aluminum solid architectural infill materials are media blasted and powder coated. We have a wide array of colors available and can also match your preferred color. Our aluminum solid infill slats may be powder coated to match our posts and framework or powder coated a different color to complement one another. If interested in complementing color schemes, please inquire with our design team. Our vinyl architectural infill is the highest-grade vinyl tongue and groove slating from PlyGem Industries. Vinyl slating is available in a wide array of colors and wood grain finishes. Our composite wood infill is the industry’s leading composite manufacturer, Trex Transcend Composites. All of our vinyl and composite infills are warrantied against premature fading, flaking and mold. 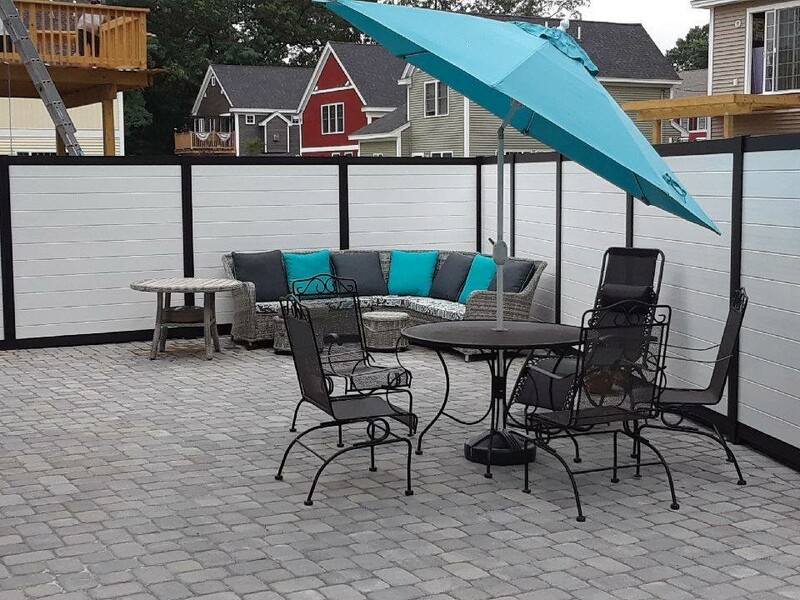 Our vinyl and composite architectural screening are complemented by our powder coated aluminum posts and picture frame systems. If you are looking for an architectural screening that is modern in design, structural proven and economical, you will appreciate any of our horizontal slat systems. PalmSHIELD is the leading standalone architectural screen manufacturer. We have you covered.